Teacher, I've learnt about the Stable Line of Gravity (中線）. I understand that to enter the Tai Chi State, I have to be Relaxed. But no matter how hard I try, I just can't seem to Relax. Why is that? There are two aspects for us to Relax. The body, and the mind. The Body: We have discussed in depth what it means to have a Stable Body Structure and a Stable Line of Gravity. This in turn allows us to relax our muscles. We are then able to place our body on the ground, as if we were an object. With gravity, our body slowly stabilizes, and this is the practice to allow us to Relax in the Stationary State. The Mind: Our mind sends nerve signals to our muscles and directs them to contract when the mind feels that we are not stable (e.g. we might fall). We require our mind to Relax. There is a connection between the mind and the body. As the mind will cause the body to become tense, we have to learn how to relax the mind-body connection. Okay, I understand the need to Relax our body. Even though we may have the necessary physical conditions to Relax, we also need the equivalent mental conditions. So it's sort of like in body-building, where power-lifters find their "mind-muscle connection" in order to activate the specific targeted muscles. In Tai Chi, we are similarly using the "mind-muscle" connection, but in the reverse. We want the muscles to refrain from contracting, to be in a 'resting' state. But wait ... how do I relax my mind?! Lets take a look at 'the Great Learning'（“大學”）, one of the Four Books in Confucianism. The Great Learning applies to the Confucian philosophy, but we can also use part of the teachings there to understand the meaning of Stability ("入靜"). In order to understand Stability of the Mind, we apply one of the first phrase of 'the Great Learning（“大學”）' to Tai Chi. "When you know where to stop, you have stability. When you have stability, you can be tranquil. When you are tranquil, you can be at ease. When you are at ease, you can deliberate. When you can deliberate you can attain your aims." When we gradually learn to bring our mind-thoughts to a stop, our mind becomes stable. 止步 as in 'Do not cross'. (2) How do we stop? In Tai Chi, we have to learn to direct our mind-thoughts to a stop. Many people are unaware of the incessant voice in our head. Thinking becomes compulsive, and we can't stop. When we are stuck in "psychological time" (i.e. time as perceived in our minds), we become burdened by what we incessantly think about. What we constantly think about becomes our Fixation ("執著"). Our fixations are problems which we identify ourselves with. We identify with our feelings in the past, or we identify with the problems we project into the future. Our fixation results in various emotions, obscures us from the Present, the Now. We create "psychological time" in our mind. Do you sigh a lot, or attribute your problems to something/someone else? Be present. Dissolve the pain you created in the past. Let go and don't resist. Accept the fruits of your actions of the past. Then Relax. "This is simply what is. There is nothing I can do about it, so why not breathe in deeply and enjoy the world around me"
Do you feel nervous a lot, or have trouble staying asleep? Do you wake up to the feeling of dread? Are you always trying to get somewhere, other than where you are? Be present. Stop creating pain. Accept uncertainty. Then Relax. "This is simply what is. There is nothing I can do about it, so why not breathe in deeply and enjoy the world around me?" When we identify with our thoughts and the various emotions that go with those thought, we create a false mind-made sense of self; we create our Ego ("我執"). Our Ego is one of the fixations that many are unaware of. When we identify with our Ego, we create negative emotions. You don't control your thoughts, your thoughts control you. From: Tolle, E. (2004). The power of now: A guide to spiritual enlightenment. Vancouver, B.C: Namaste Pub. When we identify with our Ego, whenever we intend to do something, our muscles contract and tense up. The heavier our fixation, the more tense our muscles become. 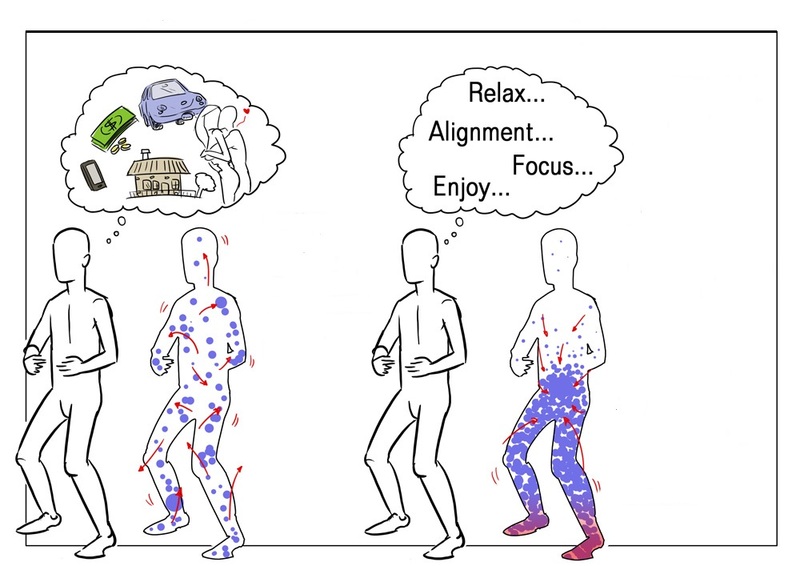 When we are in this state for a prolonged time, our body forgets what it means to Relax. Mind stability is like water. 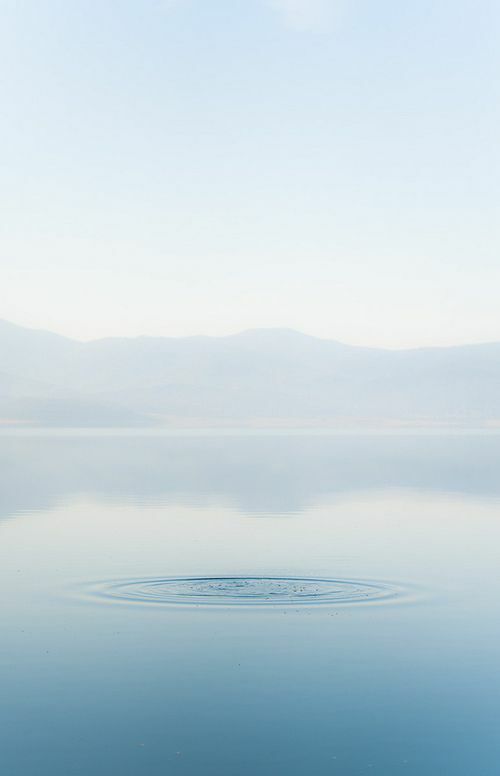 The negative emotions create the ripples in the water. 1. When we identify with the various thoughts and emotions we have, we identify with our Ego. Our mind is unstable. 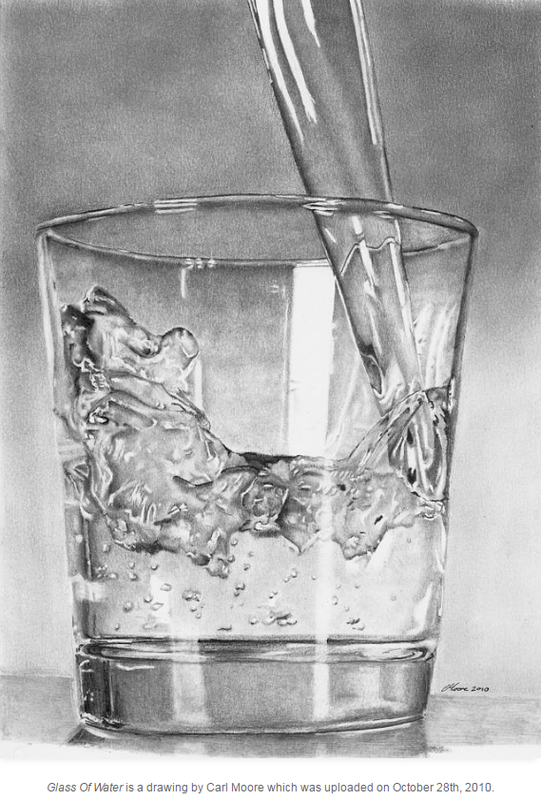 The glass (our body) is affected by the shaking water (our thoughts). 2. When we learn to not let our thoughts cross into the past or future (psychological time), we slowly stabilize our mind. There may be ripples, and that's okay. 3. 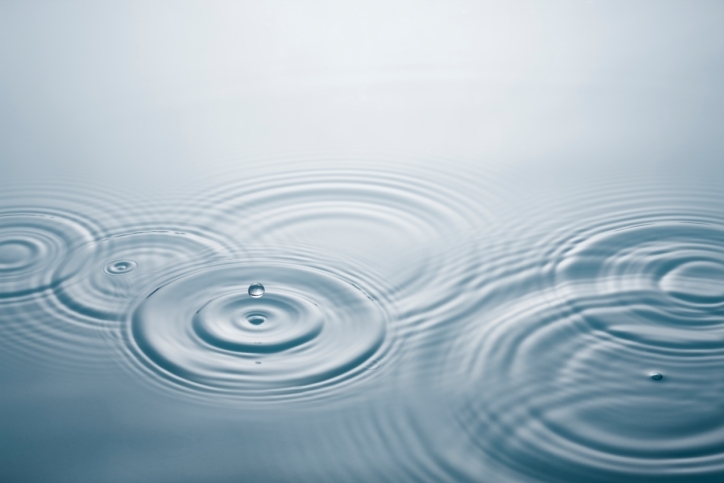 Because we no longer create more ripples, the ripples settle. Our mind is tranquil. 4. Undisturbed by our mind, our body can become at a resting state. Once our mind is stable, with our Stable Body Structure, our body can Relax too. I understand the importance of relaxing our mind. To do this, we have to be Present. But how do I be Present? To Relax our Mind, we lessen our attachment to our Ego. We separate our Ego from our body. See our next lesson on the Suspended Focus State. "When you learn to not let your thoughts cross into psychological time, you have mind stability. When you have mind stability, your mind can be tranquil. When your mind is tranquil, your body can be at ease (Relaxed). Only when our mind is stable can our body be stable.